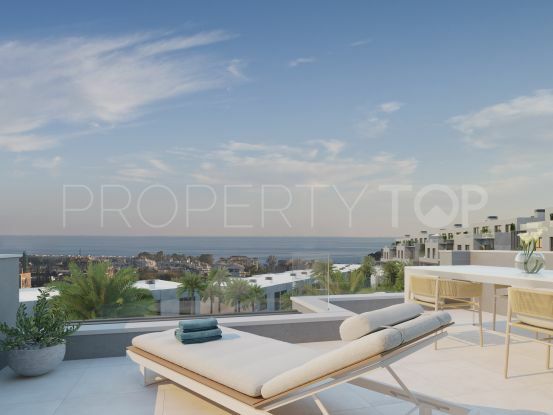 This modern townhouse is located in the surroundings of Selwo at the Western side of Marbella, Costa del Sol, Spain. 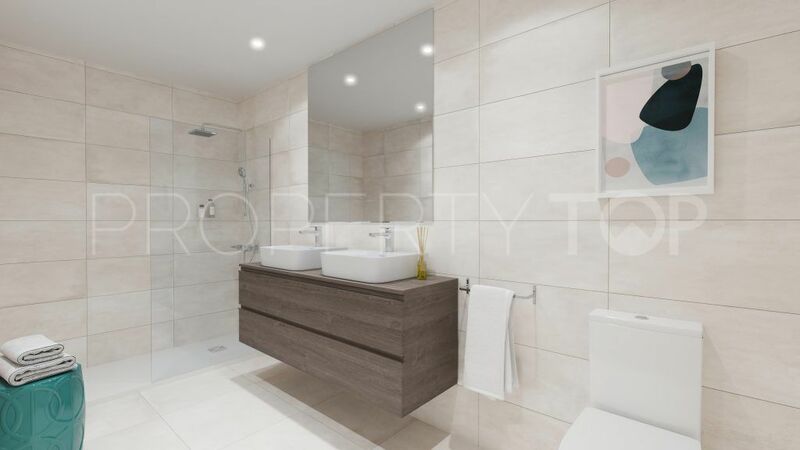 The property offers a modern design and is set in a contemporary complex located near to the beach (1000m). 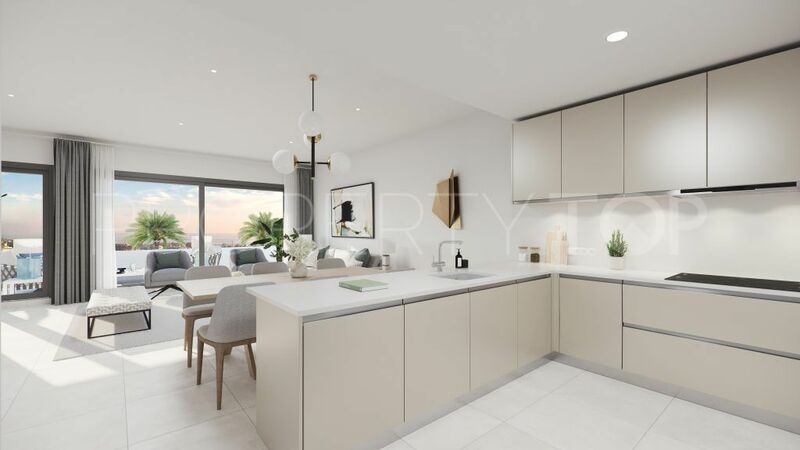 It features 4 bedrooms, 1 ensuite bathroom, 2 bathrooms, fully fitted open plan kitchen and a large sunny terrace connected to the spacious living room. It also comes with air-conditioning, garage and storage room (5m2). 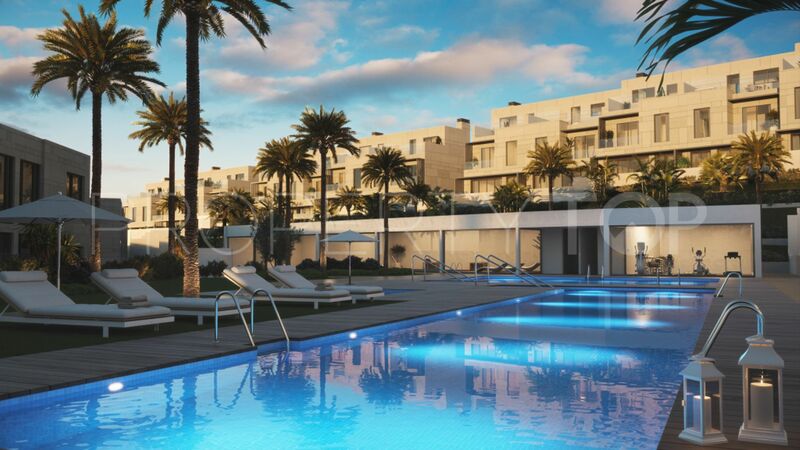 The modern complex of townhouses is located in the new golden mile, in Estepona, Málaga. 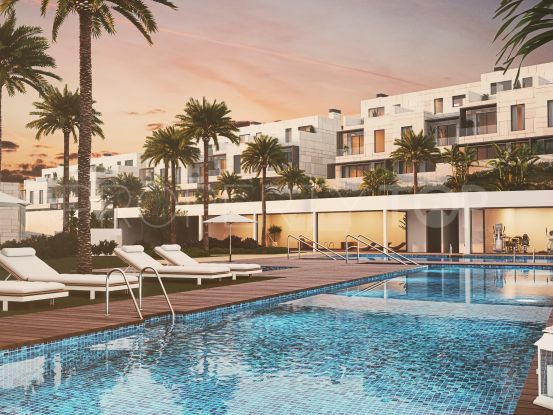 It enjoys a unique tranquil setting and it is near to prestigious golf courses such as Atalaya Golf, Guadalmina Golf, El Paraiso Golf, which are just 10 minutes driving.The gated community consists of 49 contemporary townhouses uniquely design and it offers beautiful landscaped gardens and communal swimming pool. 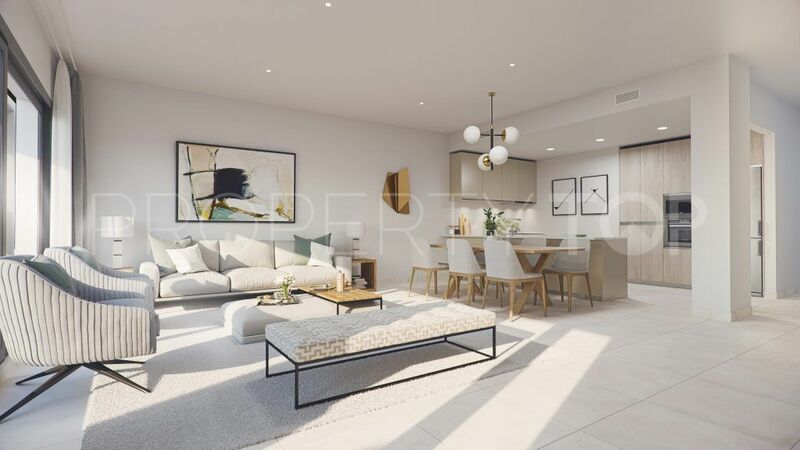 The sandy beaches are 5 minutes drive away and amenities such as bars, lovely restaurants, luxury hotels, international schools and shops are close by. Puerto Banús and Estepona Town are 10 minutes driving, Marbella town is 15 minutes, Málaga airport 50 minutes. Just 5 minutes to the prestigious Beach Club Puro Beach in Laguna Village and Villa Padierna 5 star hotel. **Prices for 3/4 bedroom townhouses start from 530.000 to 960.000 euro (Taxes and costs not included). 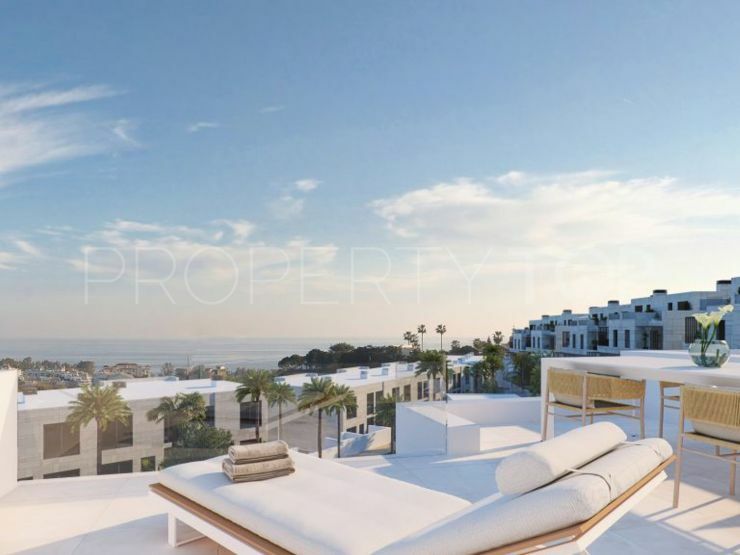 Please, send me more information about ref 259-01634P in Selwo, Estepona or similar properties. 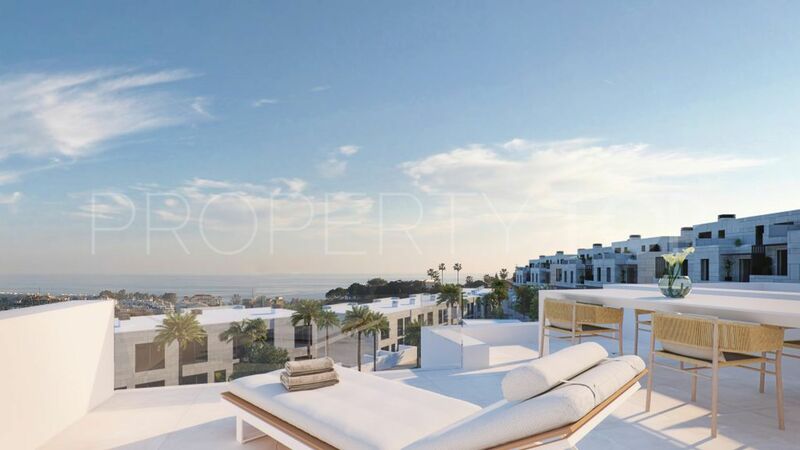 Need Advice buying this property for sale in Selwo, Estepona? 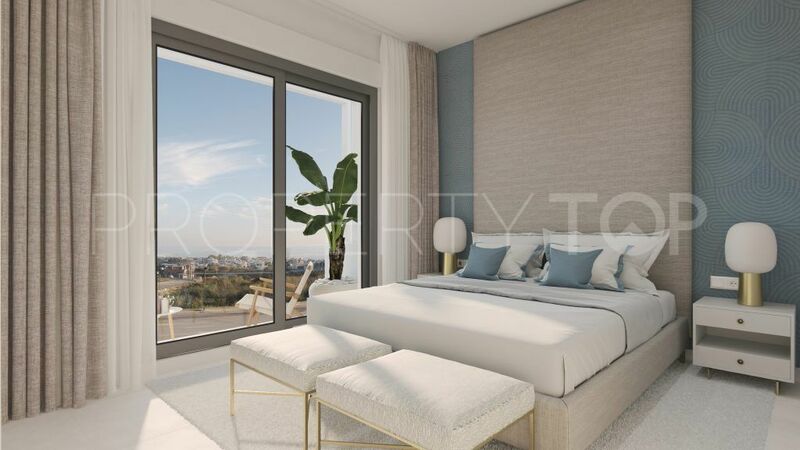 Disclaimer This is a property advertisement (REF 259-01634P) provided and maintained by Bemont Marbella, C/ Ramón Areces 4 - Marina Banús III, Local 31 29660 Puerto Banús - Marbella Málaga, and does not constitute property particulars. Whilst we require advertisers to act with best practice and provide accurate information, we can only publish advertisements in good faith and have not verified any claims or statements or inspected any of the properties. PropertyTop.com does not own or control and is not responsible for the properties, website content, products or services provided or promoted by third parties and makes no warranties or representations as to the accuracy, completeness, legality, performance or suitability of any of the foregoing. We therefore accept no liability arising from any reliance made by any reader or person to whom this information is made available to. Rights: You can withdraw your consent at any time, as well as access, rectify, delete your data and other rights by contacting info@bemontmarbella.com.